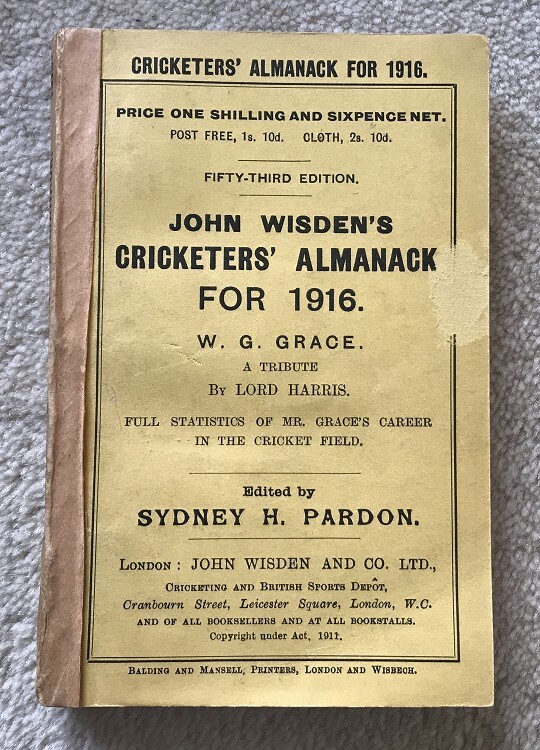 This lot is an Original 1916 Wisden Paperback with facsimile spine. This is in Very Good condition, the only two things to note is a small rubbing to the front cover on the right and the spine is a slightly different colour to the book. Other than that is is magnificent and a very rare year. The covers are clean, nice and tall. They are nice and bright yellow too. A nice new spine with text has been added , it is neat and tidy but not an exact copy of an original Wisden. Excellent inside with clean pages and tightly bound. Tip top.